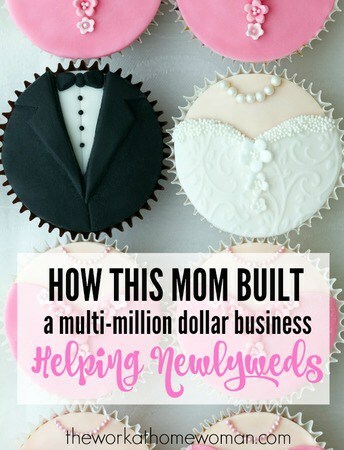 The idea for MissNowMrs.com came as a direct result of Danielle Tate's personal name change experience. After several trips to government offices and quite a few tears, her husband and she decided that there should be a name change service that simplified the entire process for brides and newlyweds nationwide. I am an entrepreneur, CEO, wife, and mother of a 6-year-old son. I have a bachelors in Biology and failing to get into medical school led to my career in sales. A frustrating experience at the DMV trying to get a new driver’s license in my new married name sparked the idea for an online name-change service and launched my entrepreneurial journey. Hours of research and coding led to the creation of MissNowMrs.com, an online service that condenses the 13-hour name change hassle into 30 minutes. 300,000 customers later, I can officially say that I change names for a living! I sold cancer diagnostic equipment to hospital pathology labs. I enjoyed improving the way cancer was diagnosed and treated and was the #1 sales representative for the company (and the first women to hold the title). Deciding to leave a successful sales career to launch a startup was not easy, but was by far one of the best decisions I have ever made. I have two co-founders and we all chipped in $5,000 to launch MissNowMrs.com. I’m a big fan of bootstrapping a business. It helps you keep control of decision-making and incents you to “make it work” so you can make your mortgage. I am very tenacious. When I decide to do something, I find a way to get it done regardless of obstacles. Finding creative ways to work around problems or gatekeepers keeps my brain engaged. A triumph after hard work and an innovative solution is so much sweeter than something that “just happened to work out”. Strategic partnerships have always been an important part of our growth, so I am fostering our current partner relationships and making a few new ones. A challenge for MissNowMrs is that we constantly need new brides (as once women use our service they do not “hopefully” need to use it again). We launched an online quiz, the Married Name Game, to help educate women about their name-change options and get them to think about the name change as well as a name-change service prior to their wedding dates. The algorithm behind the quiz is so accurate that we have a patent pending! You recently wrote a book titled, Elegant Entrepreneur — tell us about that. Elegant Entrepreneur is the book I wish was available when I started MissNowMrs. It outlines the steps from evaluating your business idea to exiting that business along with elegant insights to help readers span the gaps between those steps. Each chapter ends with takeaways, further reading suggestions, and how it feels to be living that particular step. My favorite insight is to lean in for your startup to stand upright for yourself. I believe that working hard to get your company off the ground and making money allows women to have more control over their lives. As an entrepreneur, you control your income, job requirements, and working hours. This control gives you more flexibility to prioritize your time with family. I consider my 6-year-old son my “favorite startup”. Talk about your business idea with many people and listen to what they have to say. It may be difficult, but separate you from your idea. You need to know the flaws in your idea and understand what your market wants before you can evaluate whether your idea is worth investing your time and money in. As a busy mom, business owner, and author how do you manage it all? Reiterating my entrepreneurial interpretation of the Lean In concept, I may work more hours than the average woman, but I am able to choose when those hours are. I work out early in the morning (6:00 am is my time) and then work normal office hours until 3:30 when I pick up my son from school, as it’s those precious 10 minutes in the car when he wants to share about his day. I go back to work until 5:30 and then again at 7:30 when my son goes to bed. I do not do “it all” on my own. I have an incredibly helpful husband, cofounders, employees, babysitter, and family. Surrounding myself with a team that I trust allows me the freedom to take on big opportunities without sacrificing my family time. And there’s also a great deal of espresso involved! Thanks to Danielle Tate for sharing her story!